I went whole-hog this year for Saint George Day 2015, and the event was a big hit in my home. In my last post, I shared about wonderful way the Spanish celebrate Saint George Day–by exchanging gifts of roses and books on the 23rd of April. Now that’s a holiday I can get into! Rather than stress my liver with too many chocolate bunnies or over-indulge in Christmas pud, I’ll support my local bookstore (and florist). I don’t need an excuse to go book shopping, but this was a great reason to get myself to my nearest book retailer and pick out something special for my bookworm daughter. I enjoyed surprising her with a rose and a book from her TBR list. 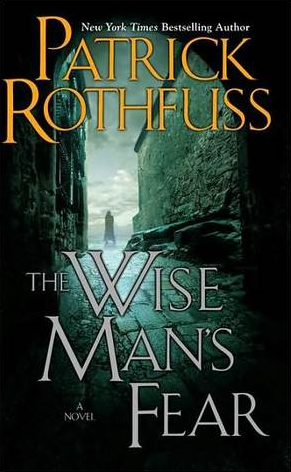 Ever since reading Patrick Rothfuss’s The Name of the Wind, she’s been hankering for the next in the series, The Wise Man’s Fear. Both books sound amazing and have been added to my TBR list. Here’s hoping Saint George Day will become an annual tradition in our family. Speaking of traditions…Last year I had a special for Shakespeare’s Birthday. This year, I expanded it to include the quaint customs of Saint George Day with another Spilling Ink give-away. 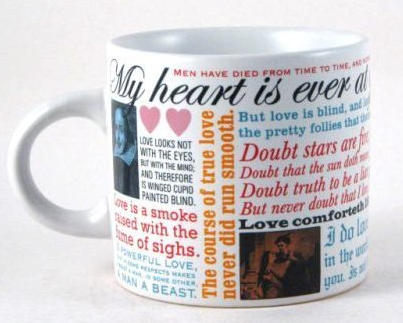 Rebecca S is the winner of the pair of Shakespeare mugs. 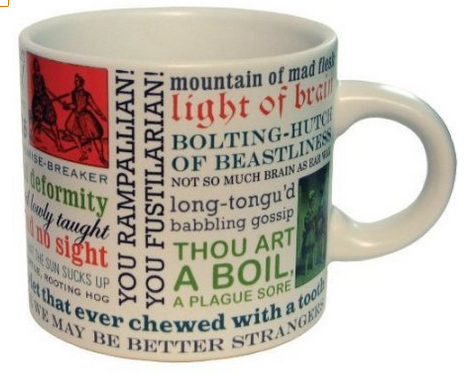 Bec will soon be the proud owner of a Shakespearean insult mug and a Shakespearean love quote mug. Thanks to everyone who joined in the fun and shared links to my blog. I hope you had a lovely, literary Saint George Day/Shakespeare’s Birthday/World Book & Copyright Day.